(Lindenwold, NJ) – Part of Coles Avenue in Cherry Hill will close beginning Saturday, Nov. 18. 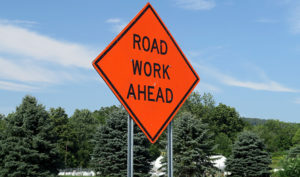 Crews will be working on the stretch of Coles Avenue between Hassemer Avenue and Delwood Road. The project is expected to last one day. Alternating traffic will be permitted between Hassemer Avenue and Delwood Road only, and the intersection of Delwood Road and Coles Avenue will remain open. Emergency vehicles will still have access to the roadway at all times. Scheduling is subject to change due to weather or other unforeseen variables. The highway department and county engineers are responsible for maintaining 1,400 lane miles of county roadway and 50 bridges. They are dedicated to making our area safer for motorists and pedestrians through county highway construction projects and road maintenance, including pothole repairs, street sweeping, grass cutting and storm drainage upkeep. The Public Works Department is located in Lindenwold where personnel are on call 24 hours a day, 7 days a week to serve the residents of Camden County.